Home > Blog > Free Thinking helps to clean up the city! By Matt Free Posted 28/04/2017 under General. When your work largely involves sitting behind computer screens, it can sometimes make a refreshing change to come out from behind them, to head into the daylight, and do something different for just a few hours! When Free Thinking Design joined the green accreditation scheme Investors in the Environment (iiE) at the end of last year, our aim was to discover how to lessen our impact on the environment and to contribute positively to the area we live and work in. The web development industry is at the forefront of innovation, pioneering new ways of working for businesses of the future. I personally find it exciting to think that our industry is continuously changing, and that digital innovation is helping to shape the direction of ‘business working’ going forwards. Indeed, Free Thinking is experienced in working with businesses and charities to implement bespoke software solutions or automation to deliver cost-saving, time-saving or other efficiencies. Working in an industry such as this, it makes sense to me to look for further ways to continue to create a more sustainable business, both for now and into the future. 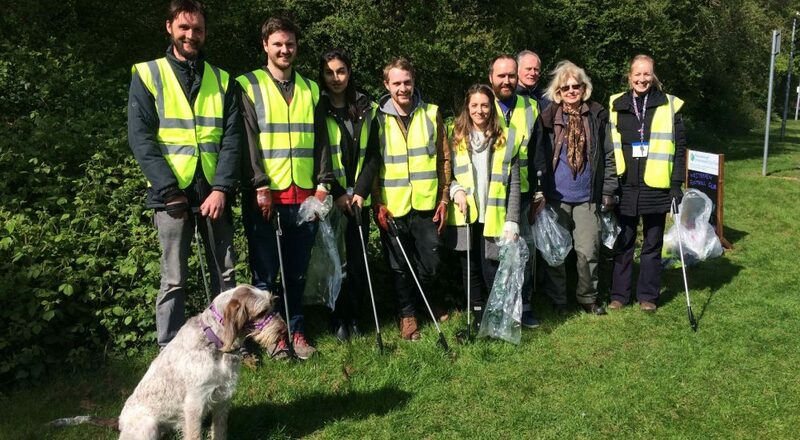 One way in which we can contribute to improving environmental issues is by taking part in community activities, such as the iiE litter pick we decided to join recently. Not only did it seem a good chance to take a break from office work for just a couple of hours, but it was an opportunity to bring our staff together in a fun and rewarding activity. So, we headed down to Bretton woods one sunny Tuesday morning, to join other businesses and local volunteers. 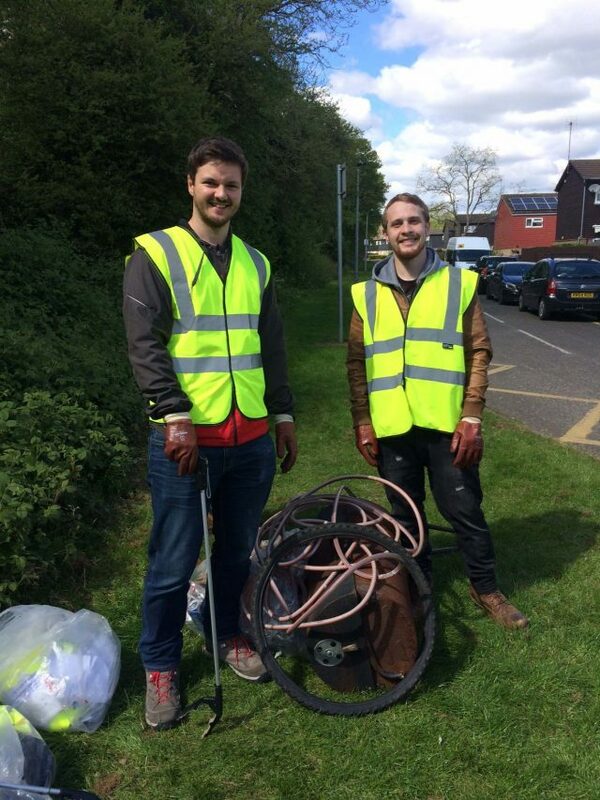 With litter pickers in hand, we spread out and got to work! Not only was it a lovely chance to explore areas of the city I’d never seen before, but it was the perfect moment to do so – the April sunshine in full beam and the ground smothered in bluebells and wild garlic. The litter picking itself was strangely therapeutic! Soon our team members were competing with each other to collect the largest amounts of rubbish or to find the most unusual items! These were in no short supply, and we’d soon collected around 10 bags of litter, a rusty BBQ, hosepipe, and even an artificial Christmas tree! Not bad for just a couple of hours of work. The team thoroughly enjoyed our morning out with IIE, making a difference to the environment in Peterborough, and we are starting to plan our next activity. If your business isn’t a member of iiE, you can find out more here – and if you are already a member, why not take advantage of our iiE Member offer, providing 10% discount on all services to other members until July 2017.